Why Eastern Plant Hire’s safe material handling is the best service in Brisbane, Melbourne and Sydney. It is important to handle construction materials with safety and care to avoid unnecessary risks, ensure adequate safety, and avoid damaging the environment and breaking environmental laws. Australia maintains strict laws on material transport and disposal to protect our diverse environment and ensure the safety of everyone who lives here. In light of this, one of our most sought-after services is in fact material handling, where our handling services cover material supply, reuse, and disposal. So, whether you need to rectify erosion issues or rehabilitate disused quarry sites, Eastern Plant Hire can source, import, place and compact clean fill to meet even the most stringent rehabilitation plans. For supply and reuse, EPH has access to the largest volume of ex-market material available for re-use on your project. 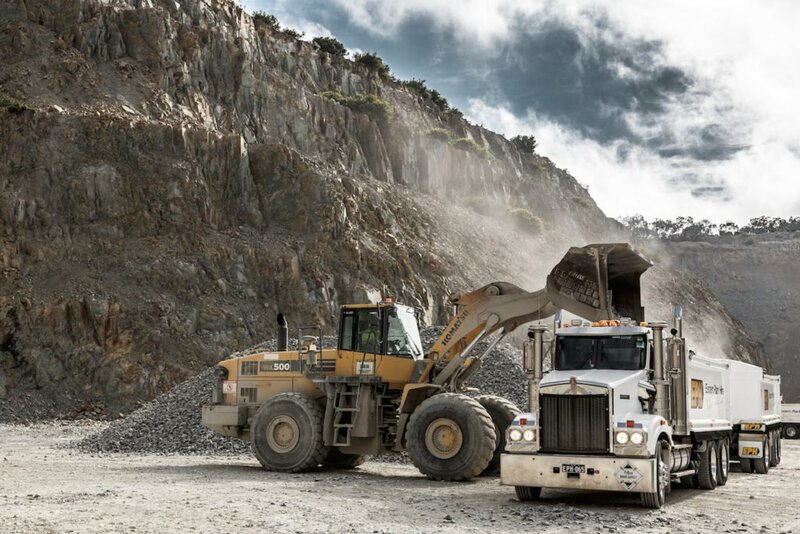 Following on from this, we can also assist with your material logistics & disposal requirements through an extensive network of over 100 disposal sites throughout Australia. We’ve recognised the ever increasing need to monitor and manage the movement of excavated materials in an environmentally responsible way. Lastly, in compliance with EPA regulations and guidelines, our EPA licensed operators have the right equipment and qualifications to safely clean up and dispose your contaminated soil. With access to numerous licensed landfills, EPH can facilitate the best disposal solution for your contaminated soil. Our range of superior soil and spoil handling services are available across eastern Australia including Brisbane, Sydney and Melbourne areas. Our soil and spoil handling services are managed and maintained to industry standards and are frequently assessed to ensure only the absolute best service is provided. EPH’s trucks and services have been in the spotlight for a number of decades, where they have played an important role in material handling for numerous high-profile projects across the nation. These projects include the $650m South Morang Rail Electrification Project in Victoria (which used over 100 of our trucks on a daily basis), the $188m Nagambie Bypass Project, the $835m Package C component of the Regional Rail Link, and the $156m Dingley Bypass Project, just to name a few.